With competition for top talent at an all-time high, you probably know that diversity hiring is one of the best ways to expand your candidate pool. Think about it: focusing on skills and experience above race, religion, gender, age, sexual preference, or physical disability means you get a leg up on finding the best possible person for the job. Period. And that’s not even the best stuff: Diverse candidates open your business up to new perspectives, opportunities, and better connections to the communities you serve. Oh, and did I mention diversity hiring makes your business more profitable, too? #1. Companies with a diverse workforce are 35 percent more likely to outperform those without diversity initiatives. I’m sure you intuitively understand that diversity hiring is a good thing. But seeing the actual impact really cements the idea that establishing a diverse workforce can have a dramatic impact on your business. According to a study conducted by McKinsey, companies in the top 25 percent for gender diversity are 15 percent more likely to outperform companies in the lowest quartile. When looking at ethnic diversity, that gap expands to 35 percent. Start the conversation. If you’re in a leadership position at your company, sit down with your talent acquisition team to find out what you can do to target more diverse candidates. If you’re not in leadership, bring these statistics to your boss and make a case for why diversity hiring needs to become a bigger piece of your recruitment strategy. #2. 72% of tech founders believe in the importance of diversity, but only 12% have five or more diverse employees in tech roles. Most tech companies recognize the importance of establishing a diverse workforce. But, there’s a clear gap between understanding and action. As Techstars notes in their recent Diversity & Inclusion Report, many young tech companies struggle in finding the most cost-effective ways to attract and retain employees from underrepresented groups. Of course, sourcing tools that help recruiters identify diverse candidates are one simple solution. But, there are also larger initiatives at work to help organizations with a commitment to diversity hiring succeed. Organizations like Tech Inclusion and Paradigm for Parity are working to improve access to diverse candidates for forward-thinking companies around the world. And it’s working: this next diversity statistic demonstrates that we’re taking steps in the right direction. Get involved with organizations like Tech Inclusion and Paradigm for Parity. Research the tools and strategies diversity leaders leverage to promote a more diverse workforce at their companies. Turn ideas into action in 2018. #3. 70+ companies published gender diversity hiring targets in 2017. If last year was any indication of the way diversity hiring is headed, 2018 should be an exciting year, particularly when it comes to elevating women in the workplace. AOL set the goal of women making up half of their leadership team by 2020. Twitter upped their diversity hiring targets in all categories (including women in tech roles and women in leadership) after some big success in meeting 2016’s goals. BHP Billiton — the world’s top mining company — wants women to comprise 50 percent of its entire workforce by 2025. And taking it seriously is a tremendous leap forward for diverse candidates. Based on these diversity statistics, set a goal for your own company’s diversity hiring in 2018. Publish it on your company blog, promote it on your social channels, and get the word out that your organization values diverse talent. #4. 92 percent of tech founders know about unconscious biases in hiring. But, only 45 percent are doing anything about it. The average job opening receives 250 applications. And your average recruiter spends just six seconds reviewing each of those resumes. With numbers like that, even the most well-intentioned recruiter is likely to have some unconscious bias dictating who they move forward to an interview and who gets left behind. The good news is that most companies recognize that. The bad news is, less than half of them are doing anything about it. There’s an interesting study that came out of Harvard and Princeton about unconscious bias in symphony orchestra auditions. The study put auditioning players behind a screen so that they would be judged solely on their playing ability and not who they are. The screen increased the hiring of female players by 30 to 55 percent. And while you may not be able to put a literal “screen” between you and the candidates you source, there are definitely some easy ways to reduce your unconscious bias in recruiting. Case in point: SeekOut’s Blind Hiring Mode. Recruiters searching the 100 million+ profiles within SeekOut have the option to hide information on a candidate’s profile that may reveal their gender, race, or ethnicity with the flip of a switch. We replaced profile photos with adorable, gender-ambiguous kittens. We abbreviated names down to the initials. And we dramatically reduced the opportunity for unconscious bias as you give each profile your standard six-second scan. Face the facts on unconscious bias: every talent acquisition leader needs to put defenses in place that give all candidates an equal opportunity regardless of their gender, race, ethnicity, religion, sexual preference, or disability. 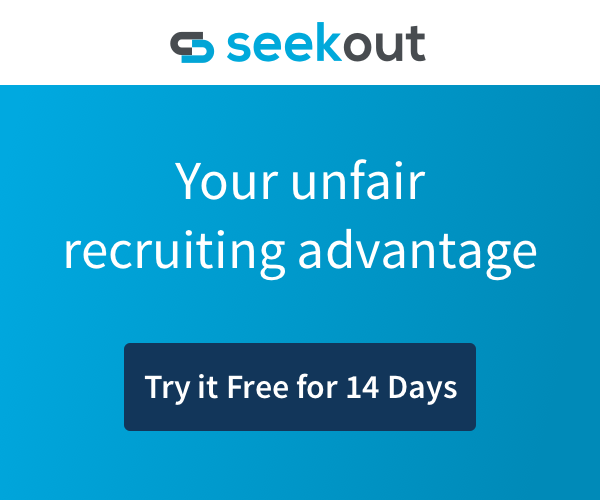 If you’re looking for a good place to start, sign up for a free 14-day free trial of SeekOut and give Blind Hiring Mode a try. #5. Military veteran unemployment reached a historic low in 2016 of 5.1 percent. But even still, 74 percent of post-9/11 veterans believe a civilian candidate with the same work experience would get hired before them. Military veterans face many of the same discriminatory biases that have historically plagued women and minorities in the workforce. And yet, until very recently, veterans weren’t often a part of diversity hiring initiatives. Amazon, who pledged to hire 25,000 military veterans and their spouses by 2021. Starbucks, who made a similar pledge of 25,000 hires by 2025. Sprint, who joined forces with 50 other U.S. telecommunications companies in pledging to hire a combined 100,000 veterans by 2021. However, despite initiatives from top companies and the dropping unemployment rate, many veterans still feel insecure about their post-service job prospects and the existence of negative biases in the recruitment processes of many companies. Only 9 percent of companies formally train recruiters and hiring managers on how to relate to military veterans in the hiring process. And 49 percent of veterans said they have experienced bias in a hiring process before. Include veterans as part of your diversity hiring initiatives and implement specialized training on how to understand military experience and relate to veterans with your recruiting team. SeekOut’s diversity search filters include a specific filter for identifying candidates with a U.S. military background. Again, you can request a free, 14-day free trial of SeekOut with no obligations here. These five diversity statistics should help give you an idea of the current landscape for diversity hiring. While many companies are doing great work in an effort to increase the number of diverse candidates in their recruitment pipeline, there’s still a lot of work to be done. What are your diversity initiatives for 2018? Your Company Needs a Veteran Recruiting Strategy. Here’s Why.